Don’t miss out on the 1000’s of mining jobs in construction and operations when it all starts this year. With so many new projects being developed in the coal and iron ore sector, there are good opportunities to carve out a career in the mines. Mining companies are finding it difficult to get workers – even at the entry-level. Take the quiz and see if you’re well prepared or not, find out what you need to get a start. This list will give you a head start when looking for mining job opportunities. Starting your search to get into the mining and resource industry can be frustrating, so you need to be clear where to start and what you should be looking for. The checklist below will help you in your search for mining job opportunities by expanding your mining knowledge. The more you know about the mining and resource sector in Australia, the more you know about the mining companies, the greater the chances of you landing a job – because you are aware of what is happening. If you haven’t got your copy of the Mining Companies Guide, download it now. I am looking for some advice. I am currently looking for opportunities in Australia in either the Oil and Gas or Mining industries. I am currently working in Aberdeen in Scotland and have 1 year experience as a Graduate Structural Engineer for an well renowned Oil and Gas service company. I also have a Masters degree in Civil Engineering from the University of Strathclyde in Glasgow. Is it common for Mining companies or Oil & Gas companies in Australia to employ international personnel into their graduate schemes? If so, what are the best websites for graduate recruitment in Australia? If not, would you recommend coming to Australia on a working holiday visa and seeking employment from the country itself? Hi Craig, thanks for your question. It’ll be a lot warmer over here than in Scotland any day:) I’m originally from Newcastle area in Northumberland, so I understand cold. OK – to answer your question, I would first come to Australia on a working holiday to get a feel for the place. Two things will come of this. Number 1, it means you can experience the country and decide whether you want to work here or not, because where the mines, oil and gas fields are, it is generally very hot and isolated. Number 2, whilst you are here, you can scope out jobs and get to meet some of the recruiters in the industry. There’s no substitute for a face to face meeting and the fact that you have travelled all the way to Australia, means you are really committed to seeking out work. You are also very qualified, which is a big plus. There are a lot of websites in Australia you can check out, mostly I’d go to the online jobs boards like SEEK.com.au, Indeed, CareerOne, MyCareer, and some of the job aggregator websites like Jora and jobsearch.com.au. The best place to start is to do a keyword search for jobs, something like “civil engineering jobs oil gas”, or “mining engineer jobs western australia”.. something like that. In Western Australia you will find a lot of offshore gas and oil fields, especially up the North West Shelf. Here’s a good link to be getting on with: oil and gas fields in Western Australia. There is a lot of iron ore mining going on in Western Australia, in the Pilbara region. You can find mining companies like Fortescue Metals Group, Rio Tinto, BHP and the new Roy Hill mine, which is still in the construction phase. Chevron are also building a huge LNG gas plant on Barrow Island in WA, called the Gorgon Project. It’s been a bit of a disaster for the company with huge cost overruns etc,, but I’d recommend you check it out. Here’s a like to the Gorgon Project in Western Australia. In the far north of Australia, in the Northern Territory, there is a huge LNG project underway called the Ichthys project. For someone of your education and qualifications, I would definitely look into this one. Here’s a link to the Ichthys website where you’ll find a ton of information. You’ll also find traditional mining jobs on the East coast of Australia. There is a lot of coal mining in New South Wales and Queensland too. Mining in these areas has been hit by the global downturn of late, however, don’t let that put you off. Get over here, start knocking on doors, get your face into as many interviews as you can, meet people and see the glorious experiences Australia has to offer. Good luck with everything and I hope I’ve managed to help you in some way..
r.e. getting an engineers job in Australia when living overseas. Could anyone help me? I am looking to find out about the Australian Mining Company that wants to mine Titanium along the Transkei Coast, Eastern Cape, South Africa. Any information would be extremely useful. Hi Melissa, take a look at these links Titanium mining in Africa and Wild Xolobeni coast.. plus the company you need to research is Mineral Commodities Ltd.
Hi Yaming, congratulations on your recent PR and also having attained your degree in Chemical Engineering. If you want to work in mining, then the first step is to promote yourself to employers and recruiting firms. Prepare your resume and a good cover letter and start to introduce yourself to potential employers. You can also start to research the chemical engineering jobs market on the big jobs boards like SEEK and Indeed. Set up specific email alerts on these jobs websites for jobs that could use your skills. You may even find that mining is not the first stepping stone to a job, as a graduate engineer, you may be more successful slotting into a role in another industry (because you need to work and earn money right?). Get the experience then start to look seriously at the mining sector. Just start looking at the online jobs boards and gather as much information about the jobs for graduate chemical engineers as you can. Start to recognise what employers are looking for in terms of life skills as well as qualifications. Life skills are always in high demand, because employers want to hire people who ‘fit’ the culture of their organisation. From our experience in the recruitment industry, through some of our partner organisations, the biggest challenges employes face are those from its internal staff. So if you are great at communication, you’re already at an advantage over the rest. My name is William and are presently working as a mine manager for an AIM listed company in Africa. I do not have a degree or diploma in mining engineering or similar but I have more than 20 years mining experience where I have worked my way up from a plant worker to a point where I am now chief of operations. I am planning to move to Australia with my family but am worried that they will not accept me simply because I do not have the papers. I do have an excellent track record and highly experience in running a full productive mine. Any advice and baths I need to follow? Hi William, thanks for your question. The first action I would take is to start contacting mining companies in Australia and tell them exactly what you have told us. It is too risky to move your family to Australia and then be struggling to find work. Are you migrating here permanently on a migrant visa? One of the ways you can move here is to approach a mining employer as I said earlier and get them to sponsor you. This normally is a 2 year agreement and a 457 visa is issued in the process. More often than not, only you can come over to work, although you can check up on that one because I’m not an immigration specialist. You have 20 years plus mining experience and that is good, your knowledge must be extensive – mining recruiters would like that. The best plan of action is to go to the Australian mining jobs boards like Seek.com.au, Indeed.com, CareerOne, Simply Hired, Jobseeker.com.au etc and start to look for jobs you can do. This way you will get a feel for the types of jobs on offer and how to go about contacting the recruiters who have advertised the job. Best of luck with your future move to Australia William. Hi . I’m Geologist engineer, from Albania. I’ m looking my future in the mining industry. I am 23 years. I have finished the faculty of Geology & Mining in Tirana. Now I’m working for Encyclopedia of Minerals. ( personal project) I love Geology and minerals I have a big personal collection of minerals. But is not enough for me. I m looking for job in Australia ( mining industry) I’m not resident. Hello Aurel, thanks for your question. It’s never easy to work in another country and it is no different for Australia. There are immigration and work visa rules to comply with. Basically what you need to do is find employment here, get your employer to offer you a sponsorship for about 2 years and with that you may get the 457 visa. This visa allows for the employment of those people who have the skills and experience that can not be sourced from the local Australian workforce. Should your skills be in short supply here in Australia, then there could be an opportunity. I would seek help and assistance from the Australian embassy closer to where you live, or visit the Australian immigration website – just Google it. You can read about the here on the iMINCO website. Hi Kevin, thanks for your question. At present in Australia, mining is tough and being an overseas worker looking to be employed in Australia is not easy. You need an offer of work from an Australian company and also a 457 visa to allow you to work. These take some time to process. I would first find a sponsor in Australia. A mining company or contractor who is willing to sponsor you, then you can go about the 457 process. Hi looking to get in the mining industry i have recently completed my basic rigging and dogging tickets, wondering if there would be any chances to get a job? Hi Harris, look… it’s never easy to get a start in the mines, especially in 2015. Mining has changed. Mining companies in Australia are under a lot of pressure to remain in profit and are looking for workers who can work safely. They want employees who are committed to the job and also are focussed on self-education and becoming an asset to the business. No longer can you just turn up for work and expect to have a job in the mines for life – I think we all agree on that one. It’s good you have your basic rigging and dogging tickets. If you want to really increase your chances of a job, then start off in civil construction, then get more tickets like Work at Heights and Confined Spaces tickets. 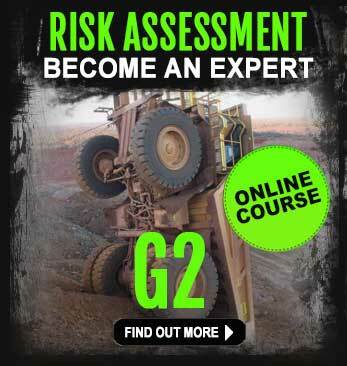 Move into WHS or risk management roles by completing a G2 Risk Assessment course. These courses will increase your knowledge immensely. The truth is, the more qualifications you have on your resume, the greater the chances of success in a job. Keep your focus on getting a start, but that does not mean jumping into a mining jobs straight away. Start local, in construction – then complete extra courses. Invest in yourself and the pay off will reveal itself over time. r.e. I have basic rigging and dogging tickets. Will mining companies in Australia give me a job? I have completed a Certificate IV in Work Health and Safety and currently studying Certificate III in Recordkeeping. How do i use this to get employment with a mining company? 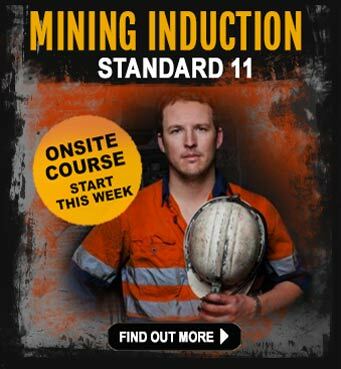 Cert IV in WHS is always going to help you get a job as mining companies want qualified people. Start off by looking for WHS jobs in mining, or start as an office admin person and work your way up. This is often the best way to start, especially if you have little experiene. r.e. I have completed a Cert IV in WHS – how can I use this to get a job in the mines? Hello, the first thing to make sure of is that you are cleared to work in Australia. If you are a foreign national, you must have a 457 Visa that has been approved by the Australian government. Mining jobs in Australia are not handed out to overseas applicants who do not have the authority to work. In most cases, local workers who possess the correct Australian qualifications and have demonstrated experience in underground mining are given preference. I am underground machine (all rounder) operator. I want to work in Australia. Hello Manish and thanks for your question. To work in Australia you must have authority to be employed as a migrant worker. There is a scheme run by the Australian government that identifies those careers that are in short supply in Australia. You will require a 457 visa to work in Australia and a job to go to. This means an employer must agree to employ you under strict conditions. Underground machinery operators are in demand here, however you will not be able to work unless you get the correct visa. 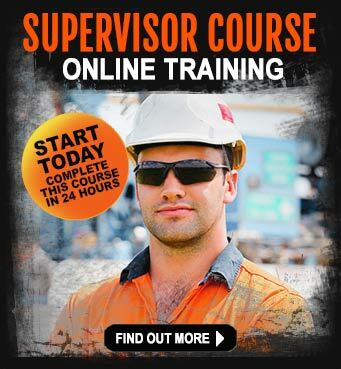 This is your first step to getting a mining job in Australia. Thanks for your question. From my experience, there are a number of ways to get into the industry. Call in some favours from your friends, ask them if they know anyone who is working in the industry. Go to the mining and resource jobs boards and start to search for plumbing jobs. Coal seam gas and LNG pipeline construction is huge in Queensland, that’s where I’d be starting to look. Do some searches on SEEK or INDEED.com.au for the keywords “plumbing mining” or “pipeline fitter” or “CSG jobs”… you can also do this on Google. We have a good list of Mining contractors in Australia on our website. This is also a good place to start your job search. There is a process to this Corey and you have to make sure you have the right qualifications and tickets to work in the industry. Seems like you have a lot of experience and that’s a big plus. Age is no barrier, because what’s more important is your ability to work in a team and your attitude to the job. Many people who get into the industry can’t adjust to working in a strict environment where you are told what to do all of the time. The enforcement of workplace health and safety is a high priority in the industry, so you need to be aware of the risks involved. This is why a lot of people do a mining induction course and try and get as many additional courses under their belt as they can. Courses like Work Safely at Heights and http://iminco.net/enter-and-work-inconfined-spaces-course-mining/Enter Confined Spaces course are highly recommended to have on your resume. If you have a four wheel drive certificate of competency then this would be a real bonus for you because you would be required to drive to the job site on many occasions. Also, you might want to consider getting your resume updated because the majority of job applications fail at the resume scanning stage of the application, where machines scan resumes for core keywords related to the job being advertised. If you don’t have these keywords in your resume and/or cover letter, then you’re already limiting your opportunities. A professionally written mining/resource industry resume are well worth the investment. Good luck with your job hunt Corey. Let us know how you go. Hi my name Paul and I’m looking to move my young family , wife and 3 children for a better life in austrailia . Iam currently a car transporter . I also am ex British forces , were I was driving tank transporters exceeding extremely heavy loads weighing over 100 tons , and i am wondering if the mining industry would have any vacancys for some one with my experience . Thanks for your question. It’s great you are looking to move to Australia as it has a lot to offer young families and the mining industry affords you some good opportunities for employment. You have a lot of experience operating heavy machinery and that is always a plus for mining companies when they read your resume. The fact you’ve been in the forces is also a big plus, because working on a mine site is very regimented, with strict rules and regulations to follow and you can prove that this is not a problem for you. My advice would be to read some of the information I’ve listed below. We also have a good article on how to get into mining with no experience. Then start to do your research mining jobs for overseas workers and the Australian government has some good information on emigrating to Australia to work. You might consider completing a haul truck training course too, because this gives you the right training mining companies want, especially if you are going to be responsible for driving haul trucks that are worth millions of dollars. The course classification is RIIMPO311A, Google it for more information. You also must complete a mining induction safety training course if you want to work in coal or metaliferous mining environments in Queensland. 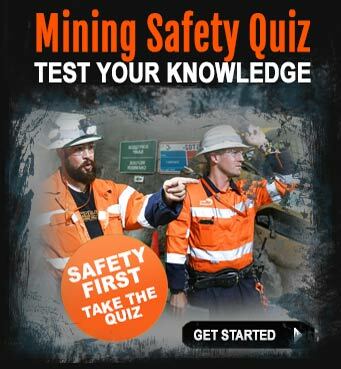 This is a very good course that will educate you about the health and safety issues when working on a mine site in Australia. it you don’t know what a JSA, a SLAM, a “take 5” or a LTI is, then you need to do this course. Good luck with your move to Australia Paul and I hope iMINCO can help you again. Hi I have recently arrived in Australia and am looking for house keeping work within the mines. Can u please help me in order to find a job. Just start looking for mining jobs for cleaning and housekeeping via Google, or the jobs boards like SEEK and Career One. There are loads of jobs out there. You just have to make a start. Ask your friends, move closer to a mining town like Mt.ISA, Mackay, Emerald, Gunnedah, follow the mining news online, read mining magazines and find out where the jobs are. If you want to get anywhere in mining, you have to take the initiative, it’s up to you, no one will hand you a job on a plate. Mining companies will employ people who are proactive, enthusiastic and have a willingness to seek out opportunity and can contribute to the growth of the company. If you have these traits, then you can get a job anywhere – not just in mining. r.e. How do I find housekeeping work in the mines? My name is Damien and I am an Aboriginal man from Northern Victoria. I have had an interest in the mines since a few of my friends have found employment in this field. I suppose what I am wondering is that what would a person with 9 years experience in Education and 3 years experience working in the local Aboriginal Community Centre (where I was Co-ordinator) would have to offer. Whether there is any scope to maybe take up an apprenticeship or Traineeship of some sort where I could use my Interpersonal skills. Hi Damien, thanks for your question. How did your friends go about finding work in the mines? I guess that’s the first place I’d start. More often than not, the old saying “it’s not what you know, but who you know”, when it comes to applying for any kind of job. Did your friends have a trade and they had already served an apprenticeship? Or have they started as ‘cleanskins’, or are just new to the mining industry? Every business, whether it’s mining or not, needs people to run it, so your experience in working with and and managing people is a definite plus. Ask yourself, what job would you be happy doing in the mines? Would you be happy with a FIFO mining job, or do you want to work locally? Mining companies are starting to hold their own adult mining apprenticeship programs because of the mining skills shortages that exist at the moment. Read about adult mining apprenticeships right here on our website. Google ‘adult mining apprenticeships’ and you’ll see a lot of opportunities for you to speak to someone who can give you career guidance. Websites like the National Apprenticeships Scheme are also a good place to start. Keep looking, researching and never give up until you land yourself that dream mining job – they’re out there. Are you up to speed with the Australian mining industry news? Get plugged into to Project News. Nice of you to take the time to ask this question. We get a lot of questions from women who are looking to start a career in mining, especially driving haul trucks. There are a lot of mining job opportunities for the right people with the right skills and attitude, just like any profession. To be taken seriously when you apply for a dump truck driving job, you really need to have completed a couple of courses to show the mining companies you are competent and are a safe driver with experience driving the big machines. Some of the haul trucks are worth in excess of $2 million and despite the high safety standards on mine sites, there are times when accidents happen, even for experienced drivers. I can recommend doing a lot of research, find out everything you can about the mining industry, where the mines are (open-cut), what machinery they are using etc. Go to Seek.com.au, CareerOne.com.au and MiningCrew.com.au to find dump truck jobs. Just type in ‘dump truck mining’ or ‘haul truck mining’ and you’ll get a list of jobs. Sign up for our Project News email newsletter on our website. In this weeks edition we show you exactly where to find dump truck driving jobs,(this week we uncovered 385 dump truck jobs) so don’t miss out on that one. Complete a dump truck training course, the one near Brisbane is a good one and you learn on a real mine site lease, with plenty of roads, uphill, downhill, night time driving, emergency maneuvers, loading and hauling – everything you’d expect to be doing on a mine site (plus night time driving – which really prepares you for that job in the mines you are looking for because mine sites operate 24 hours a day). r.e. I’d like to drive a dump truck, where can I find information? please help if you got any ideas about my requires. Wow – you have some great qualifications there and it looks like you know how to handle bulk cooking so I’m sure you would have a good chance at securing a well paid position in a mine in some form of catering capacity. Of course you need the right mining induction, for that mine site, this can be arranged via RTO Industry Pathways, who have courses available in most capital cities in Australia 07 5520 2522. R.E. FIFO jobs in mining as a chef. Hi, this is Vijay from India, presently making necessary arrangements to pursue masters in Australia regarding mining engineering. Basically I am a mechanical engineer served as maintenance senior engineer in a heavy machinery handling, will this profile will add some face lift to my job opportunities in Australia?. I am so eager to pursue a masters in mining & to serve in this field. please help if u got any ideas about my queries. And also please highlight the facts involved in this job offers in Australia. I am 20 years old and looking for a new career in the mining industry. This year I completed my certificate 111 in Bricklaying/Blocklaying. I received 2 awards (2007 & 2009) for Apprentice of the Year with my employer Nerang Bricklaying Pty Ltd. I am will to learn all aspets of this industry.